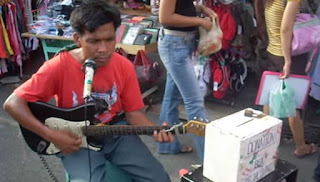 Home / Music / The Philippines / Video / A street performer in Baclaran perfectly sings Wency Cornejo's "Hanggang"
A street performer in Baclaran perfectly sings Wency Cornejo's "Hanggang"
Baclaran, located in northern area of the Parañaque City, is known for the numerous tiangges surrounding its famous church, the National Shrine of Our Mother of Perpetual Help, which is commonly called as Baclaran Church. As it is a busy place, with all the people hustling and bustling about, and it is beside a church, it is one of the commonplaces for the blind to sing and ask for donations. Take for example in the video, the man in red shirt with his equipment in place wonderfully sang Wency Cornejo's "Hanggang". We're sure you've seen one or more people like him, who is blind but sings amazingly, but since sometimes we couldn't pause to listen to their song renditions because of one reason or the other, the videographer took the time to pause, listen and take a video of this man for our pleasure too! Check out the video and believe us when we say this man can really sing and play the guitar! 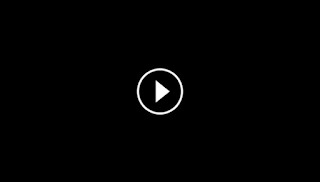 Watch and listen and we're sure you'll soon be thinking how Filipinos are truly talented!